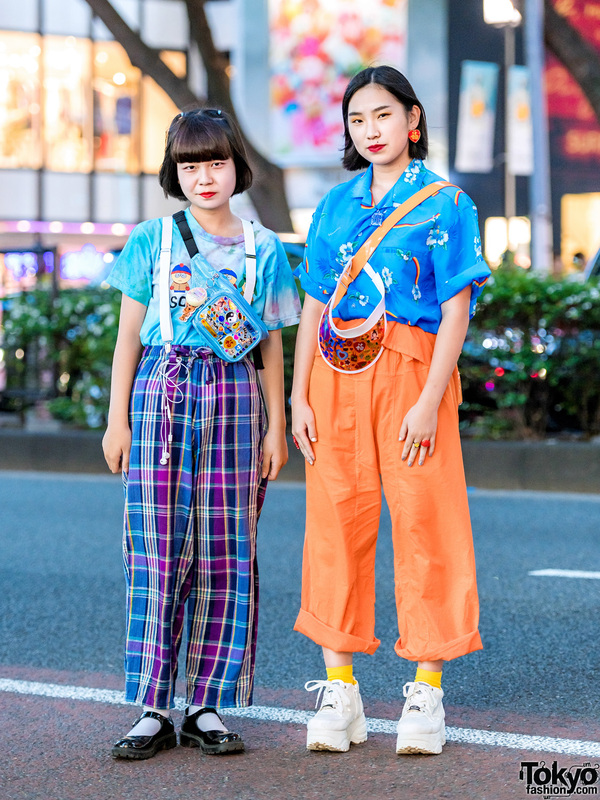 Harajuku girl wearing a multicolored printed top and orange pants. 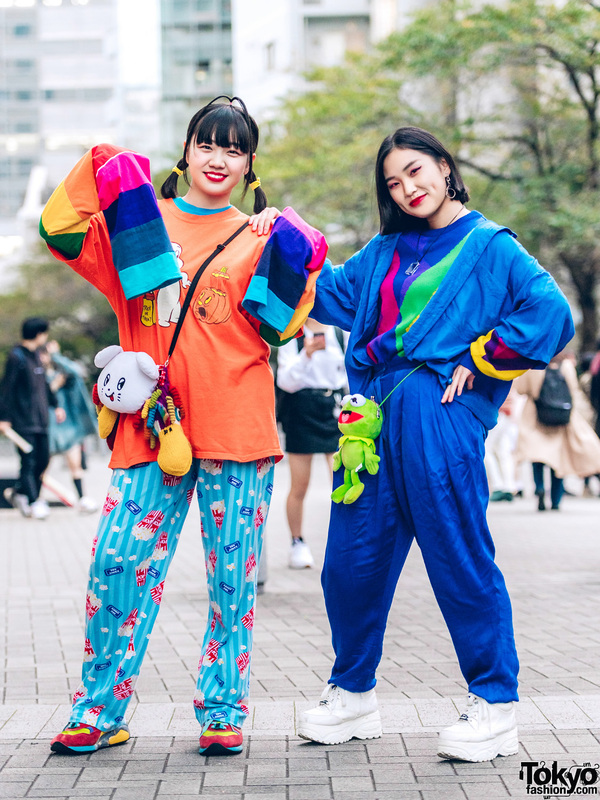 Japanese students in eclectic streetwear styles while out on the Harajuku street. 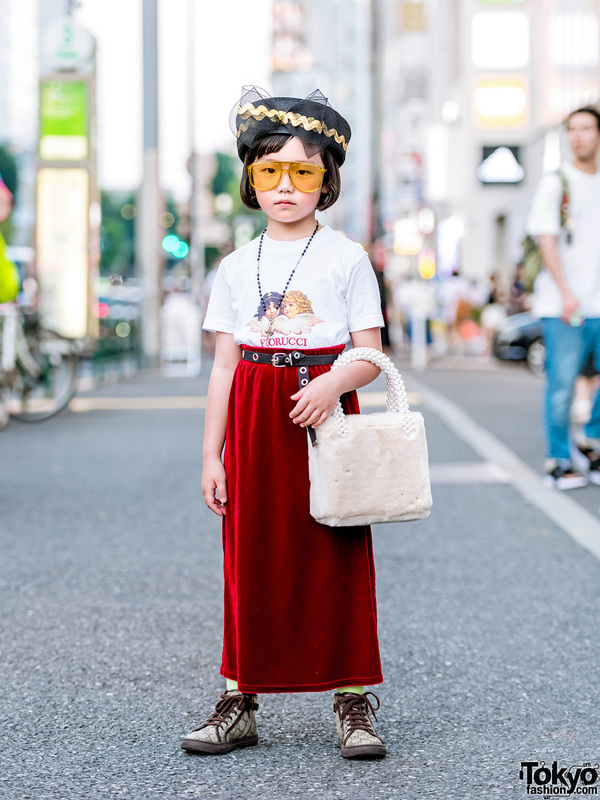 Young Harajuku fashion icon Coco Pink Princess on the street in Harajuku sporting a chic casual style. 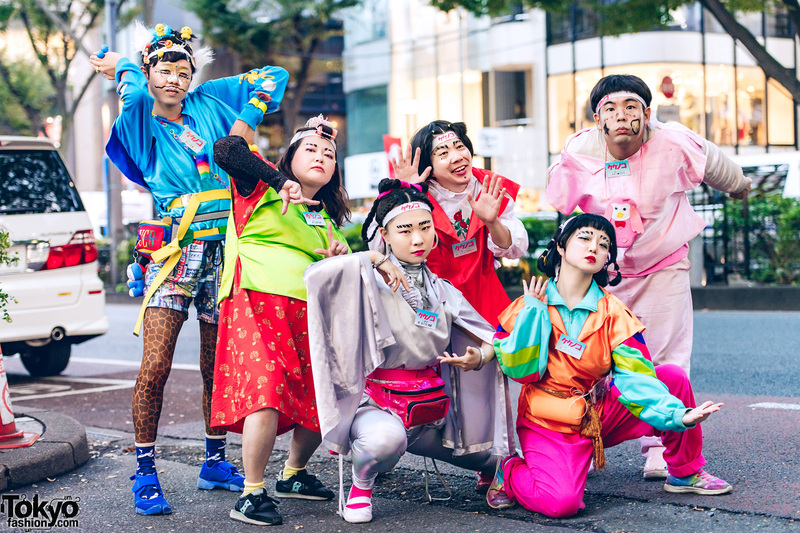 Harajuku girl sporting twin braids and a yellow-and-white street style while out and about. 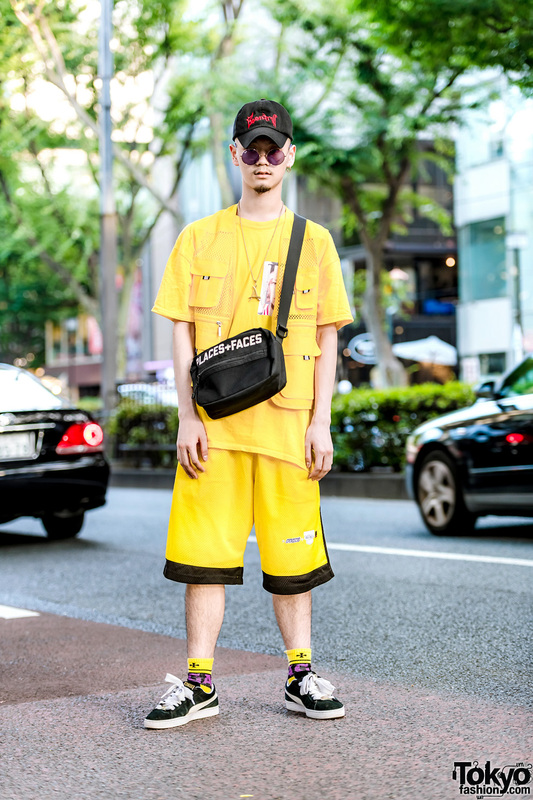 Japanese student showcasing color-coordinated street fashion in Harajuku. 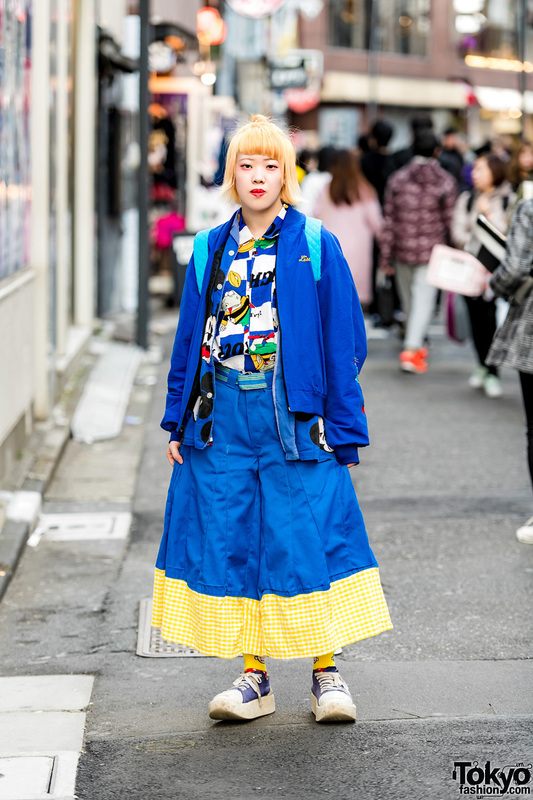 Blonde Izakaya staffer sporting a blue-themed fashion style while out and about on the Harajuku street.